Earl G. Graves | HOPE Global Forums | Presented by Operation HOPE, Inc.
Earl G. Graves Jr. (Butch) is President & CEO of BLACK ENTERPRISE. He joined the company in 1988 after earning his M.B.A. from Harvard University. During his tenure at BLACK ENTERPRISE he has served in many positions, including VP of Advertising & Marketing, and Chief Operating Officer. In 2006 he was promoted to his current position. magazine publishing; two nationally syndicated television shows; professional development events; digital and social media. 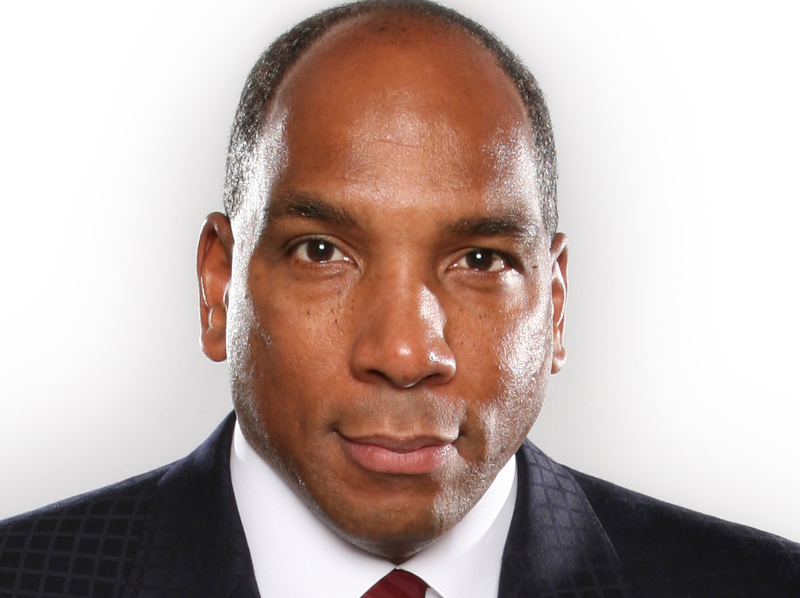 In 2000, he co-founded the Black Enterprise/Greenwich Street Corporate Growth Fund – A unique private equity firm seeking to finance the growth of established minority-owned or – managed businesses across various industries. Mr. Graves is also an active Partner in S & C Robinson, LLC – an Airport Concessions Enterprise formed in 2016. Butch received his B.A. in economics from Yale University in 1984, distinguishing himself both academically and athletically. As a four-year starter and Captain of the Yale basketball team, he graduated as the school’s all-time leading scorer and the second leading scorer in Ivy League history. He was drafted in the third round by the NBA’s Philadelphia 76ers in 1984, and enjoyed a brief professional basketball career with the Milwaukee Bucks and Cleveland Cavaliers. In 2002 Butch was inducted into the American Advertising Federation (AAF) Hall of Achievement. In 2006 he was awarded the Jack Avrett Volunteer Spirit Award from the Boy Scouts of America, and in 2009 he was honored with the NCAA Silver Anniversary Award. Butch serves on the board of directors of AutoZone, Bermuda Tourism Authority, and is a Trustee for The Committee For Economic Development. In addition to serving on numerous non-profit Boards, Mr. Graves is a strong national advocate for the importance of education and athletics, and served as an AAU (Amateur Athletic Union) head basketball coach for more than 15 years.